Thanks to the HBO series "The Wire," people who have never visited Baltimore tend to think residents bide their time dodging bullets. So, is Baltimore safe? The answer probably varies depending on who you ask and their past experiences. Let's explore the question and ways to stay safe in Baltimore. "Is Baltimore Really Like The Wire?" This is the inevitable question that everyone who lives in or who has recently visited Baltimore gets asked. Although the grisly nickname "Bodymore, Murderland" is somewhat warranted, Baltimore is not the complete wasteland portrayed in David Simon's series. Robberies. Muggings. Organized crime. Sexual assault. Murder. None of these problems are unique to Baltimore. Although the situation here should not be downplayed, average travelers should not be too concerned. Most crime—especially drug- and gang-related activity—occurs in isolated areas of the city that tourists have very little reason to visit. 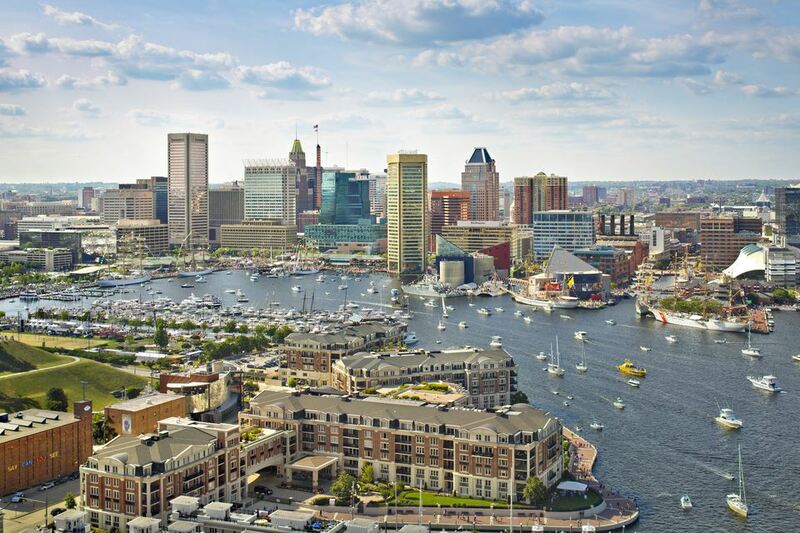 In Baltimore, you can visit the popular Inner Harbor area without much worry. Police regularly patrol this area and other neighborhoods that tourists frequent, like Little Italy, Fells Point, Federal Hill, and Mount Vernon. In general, the biggest annoyance for visitors in well-trodden areas of the city is by and large people asking for money. Most will leave you alone after you give them some change or do nothing. If someone follows or heckles you, it is best to ignore the person and be on your way. Most likely, they will give up without confrontation. Be aware of your environment. It is advised that you try your best to understand where you are going and how to get there—and if you get lost or find yourself in a sticky situation, act like you know what you're doing until you can get your bearings. Muggings/robberies. The crime that most tourists need to be concerned with is muggings. As in any city, it's advised that you do not flash money or valuables like jewelry and cell phones. So long as you exercise the normal precautions you would in any other city, you shouldn't need to worry. Don't forget about automobile theft. If you have a car, it is advised that you do not leave anything—even trash or clothing—in sight. This will reduce the chance of robbery. Be on high alert at night. Like most places, things tend to change once the sun goes down. That doesn't mean you should hide, but it is advised that you take extra precaution at night, such as considering taking taxi cabs instead of walking and avoiding hanging out in public parks. Stay in groups. No matter what the time of day, remember that there is always power in numbers. There are plenty of reasons to love Baltimore. This city has great restaurants, diverse neighborhoods, fun museums, fantastic art, and bright minds. Several of the city's projects, including the Inner Harbor, have been lauded as shining examples of redevelopment. And despite all of the city's problems, there are many dedicated people working hard to change Baltimore's story.